With it's simple, uncomplicated flavors, this sauce can do no harm to whatever you want to use it for. You won't find much heat here, but you do get a barbecue sauce with a deep sweetness that accomplishes a feat in not being sugary at the same time. 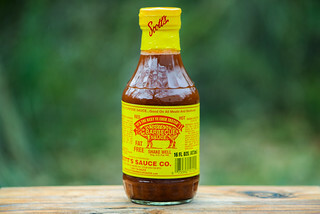 The tomato, molasses, Worcestershire, and vinegar combo give it a ubiquitous barbecue sauce flavor that retains all it's defining characteristics both out of the jar and after being cooked. 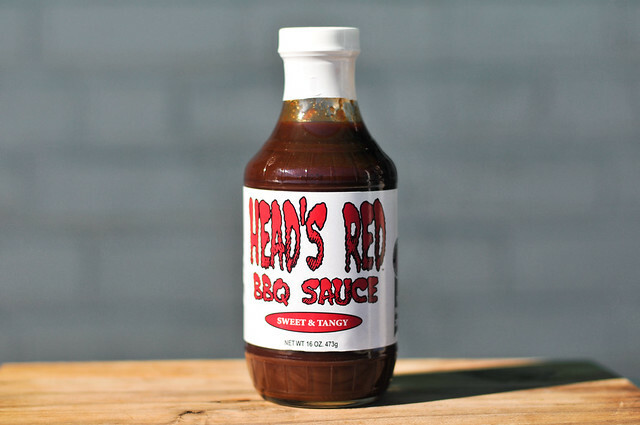 Like many sauces, Head's Red was born out of barbecue competition. Bill Mehilos, aka Head, started up his Illinois-based team called the Chi-Town Smokers back in 2002 and worked the mid-west competition circuit. Not happy with commercial sauces, he went to the kitchen to come up with a sauce that had a better balance between sweet and tangy and would set his barbecue apart. 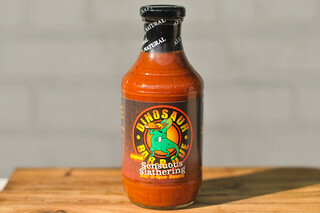 Since then, the sauce and team have gone on to win a slue of awards, including two recent Grand Champion honors in 2009 and 2010 at the Heavenly Smokers BBQ Competition and Smoking Hog Wild BBQ Competition, respectively. Man is thing sauce running deep with molasses. The sweet molasses is unmistakable as the dominant smell, with Worcestershire playing second fiddle. There's hints of tomato and a little spice in there, but you have to dig deep to get beyond the strong molasses component. Head's Red has the smell of molasses, and the look of it too. This sauce is a dark reddish-brown with a thickness on par with molasses, but doesn't flow off a suspended spoon with the same syrupy stream, instead falling in chunks. While the sauce is pretty smooth, there's a slight chunkiness to it and it's dark color hides most of the spices, although there are some visible in there. This a well balance, uncomplicated sauce. 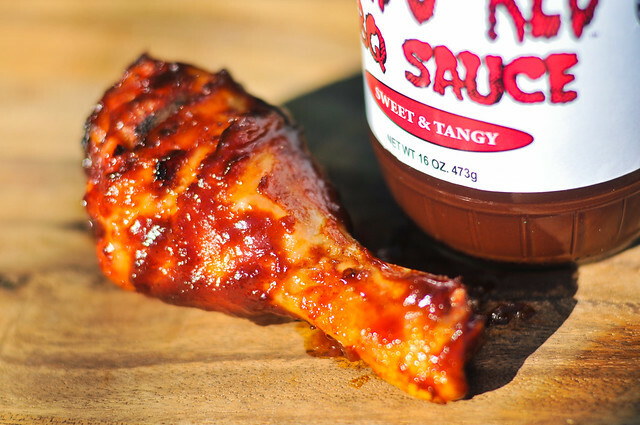 The flavors are distinct, yet familiar, coming together to form a nice barbecue sauce. First you get a ketchup flavor with the added sweetness of molasses. This then starts to give way to a play between Worcestershire and molasses, finally ending with just a very slight spice that has a little kick of garlic right as it leaves your tongue. There's a few crunchy bits in there, giving an interesting texture. The flavor overall runs very deep, with a strong molasses component, but is not as sweet as you might expect, with vinegar helping tame and balance the sugars. Head's Red continued to impress on the grill, as it baked in well and then caramelized just the right amount over direct heat. The flavor more-or-less stayed the same as out of the jar. It retained it's deep sweetness with a slight tang, but the tomato component amped up a bit. There wasn't really any heat to speak of, just a very pleasing, not sugary, sweetness. With it's simple, uncomplicated flavors, this sauce can do no harm to whatever you want to use it for. You won't find much heat here, but you do get a barbecue sauce with a deep sweetness that accomplishes a feat in not being sugary at the same time. 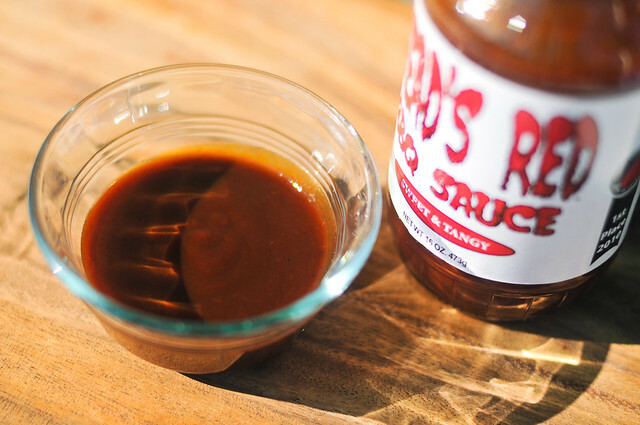 The tomato, molasses, Worcestershire, and vinegar combo give it a ubiquitous barbecue sauce flavor that retains all it's defining characteristics both out of the jar and after being cooked. 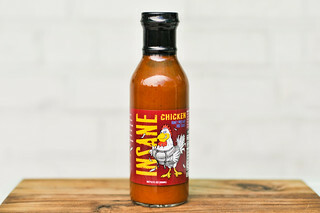 I'd happily slather this on my chicken, ribs, or as I did a few weeks ago, all over a tray of burnt ends.